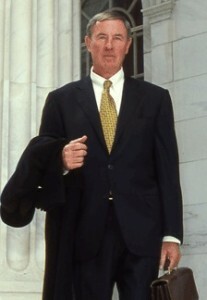 H. Alan Dill is the managing partner of Dill Dill Carr Stonbraker & Hutchings PC. The firm’s practice is primarily complex civil and criminal litigation, and of the fifteen firm attorneys, four attorneys and five paralegals concentrate their practice in the alcohol licensing and regulatory law area at the local, state and federal levels. The firm represents over 3,000 liquor licensed establishments in Colorado. Mr. Dill received his B.S. at the University of Colorado, and his J.D. at the University of Denver in 1970. Mr. Dill served as a Deputy District Attorney in Denver, Colorado, and Assistant Attorney General for the State of Colorado and Director of the Organized Crime Strike Force. Mr. Dill’s litigation experience is wide-ranging, from first degree murder death penalty cases, complex securities litigation (litigation in one case spanning over an eight year period, culminating in a six month jury trial), to airplane and helicopter crash cases. In the area of alcohol beverage and gaming licensing Mr. Dill conducts Continuing Legal Education seminars in Colorado, and has been qualified as an expert witness in state and federal courts in the areas of liquor and gaming law. Mr. Dill lectures regularly to industry groups and attorneys.